Ma chanteuse préférée toutes musiques confondues, c'est Dolly Parton. Née en janvier 1946, elle continue à 63 ans de rencontrer un certain succès dans le monde anglophone. Son look outrancier, décalé, presque vulgaire n'est qu'auto-dérision. Par le nombre affolant d'albums enregistrés, Dolly Parton reste malgré ses frasques et erreurs une des plus grandes dames de la country de tous les temps. Personne d'entres vous n'a écouté le dernier album de Dolly, orienté country-pop ? De Dolly Parton , je connais que l'excellent duo avec BRAD PAILSEY . Oui, elle y fait plus les backgroung vocals qu'un duo. Le clip est très touchant en tout cas. De Dolly Parton, les amateurs de Bluegrass doivent se jeter sur les albums de 1999 à 2002 ! Quand j'étais aux Etats Unis en avril, c'est avec bonheur que je pouvais voir une chanteuse de 63 ans médiatisée sur CMT, alors qu'ils font un jeunisme quasi-total. Vous pensez quoi de son dernier clip ? VH1 has announced the first guests for the return of its Divas concert series this September, and that prompted Entertainment Weekly to suggest here Tuesday that Dolly would be a great addition to the show. On the bill currently are Adele, Kelly Clarkson, Leona Lewis and Dolly's goddaughter, Miley Cyrus. 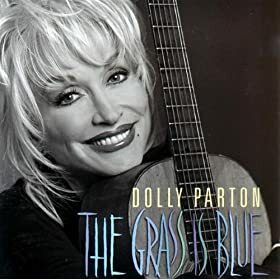 Other names that the magazine suggested in addition to Dolly were Barbara Streisand, Beyonce, Jennifer Hudson, Alison Krauss, Alicia Keys and Christina Aguilera. Profitant de la sortie du LIVE in LONDON, Sony Music sort un coffret 4 CD couvrant la période ... 1957-1993. 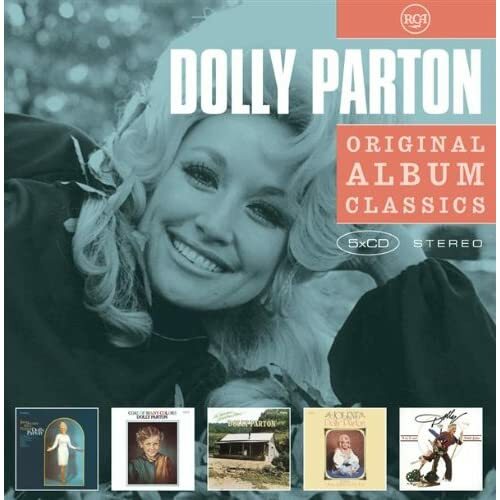 A boxed set containing four CDs with 99 songs is coming from Dolly Parton on Oct. 27. The songs cover the years 1957 to 1993, beginning with "Puppy Love" and "Girl Left Alone" recorded for the Goldband label in 1957, when she was 11 years old. 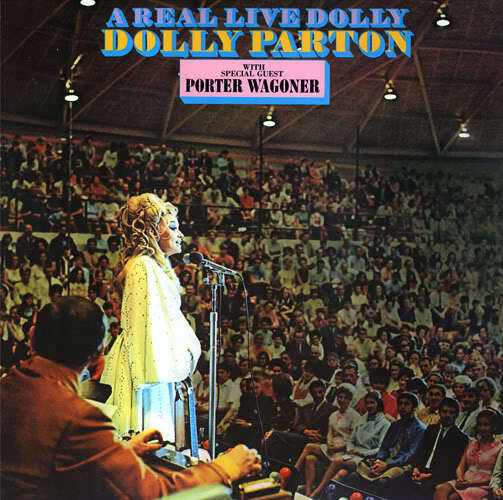 Dolly will also include seven previously unreleased tracks. Singles and album tracks represent her recorded work for Goldband, Mercury, Monument, RCA, 20th Century and Columbia. The package will also include a 60-page booklet with liner notes and previously unreleased photographs. Mais aucun d'entres vous possèdent le moindre disque, ou compilation de Dolly Parton ? Le superbe coffret 4CD + réédition de Real Live Dolly de 1970 est proposé ... aux américains, avant sa sortie. Tu disais au faite sur un autre lien que y a pas eu grand chose dans les années 2000!? mais Dolly n'a jamais été aussi "bonne" (!) que dans ces années (aves les 70's): exact?! Oui, il y'a curieusement des choses exceptionnelles dans les années 2000 avec ... des artistes anciens. Bob Dylan, Tom Waits, Leonard Cohen, Neil Young et en country Merle Haggard, Dolly, Emmylou, Cash ont parfois été exceptionnels. Un extrait du DVD : Jolene dans la version 2008 à Londres ! Indéniablement la chanteuse la plus simple, drôle et sympathique du monde Même le frère de Madonna témoignait de ça en ayant travaillé avec elle dans les années 90. "I won't ever stop working. I won't ever retire. I'll be working until I fall over. And I hope it's right in the middle of a song onstage somewhere. That would be the glorious way to go." Darryl Sterdan :If you go out without the makeup and the wig, can you walk around unrecognized? No. I wouldn't do that anyway. Unless there was an emergency and my husband was having a heart attack and I had to get him to the hospital, I wouldn't go out without my makeup. I certainly go out without wigs on, but I always try to put a little makeup on, if only for my husband's sake if nothing else. I don't want to look like a rag around him; I don't get to see him all that much, so I always put on makeup for him. And I always try to look presentable in case I get stopped on the street. Darryl Sterdan :What if you wore a disguise? Well, people recognize my voice. I remember once I was going Christmas shopping many years ago. I did my makeup completely different with dark eyebrows and wore a short black wig and wore different clothes than I would normally wear. And I was in a record shop buying stuff with friends that nobody would have recognized. And I said something, and this group of kids said, 'You're Dolly Parton in a black wig.' My voice is as recognizable as my looks. So then I was stuck. And I felt bad because I looked so weird, so I went back home, put on my own garb and went out Christmas shopping as myself. Darryl Sterdan :It's impressive on your live DVD to see you play several instruments. Do you feel you don't get enough recognition as a musician? Darryl Sterdan :What about recognition as a songwriter? Everybody knows your big hits, but a lot of people don't know you wrote those songs. Well, I think it's because I come on so strong with my big ... wait, you did say hits, right? (Laughs) Well, those too -- and sometimes my personality and my big hair and all that other stuff makes people forget that I do write. It took a long time for people to get past the gaudiness and all. But at this point, I think people who follow me close know how serious I am about my work, and it's worked out all right over the years. Darryl Sterdan :Obviously. I was looking at a list of all your Top 10 this and biggest-selling that and all the awards and nominations. The list is almost endless. Which of those means the most to you? All of them mean something because they all mark a certain time in my life. And I never get tired of those things. People say, 'Oh, I bet this is like pouring water on a duck's back,' and it's not. Even the smallest little things matter to me. But I am very proud of my songwriters awards; probably my songwriting is the most personal to me. So being in the songwriters hall of fame -- the country one and the big one too -- that means a great deal to me. Darryl Sterdan :Let's talk about the umpteen projects you've got on the go. I've heard talk of a dance album and a children's record. All of them are in the works. People always ask me what's next and I never know which one's going to come up first. I have done a lot of dance songs and I will put that out at the right time. I have a lot of fans that love to dance; I have a huge gay following. But I also work a lot with children; I have the Imagination Library that gives free books to children all over the world. I definitely would love to do a children's show like Pee-Wee's Playhouse, something entertaining to grownups too. And I will do some children's albums; in fact, I have that kind of on a front burner. Then I'll probably do some more touring toward the end of next year. But right now, I'm working on a musical of my life story for the next several months. It will be for Broadway or a movie; I haven't decided yet. Darryl Sterdan :Speaking of your life, I get the sense that underneath all the glitz, you're a very private person; you seem to keep a lot of your life out of the public eye. You're very right about that. My husband and I have been married for 43 years, and when I go home, I love just hanging out with him. We have a little RV that we travel around in. We just park along the riverbank and have picnics. We go out Saturdays and Sundays for a few hours and ride about and stop where we want. And I love to stay home and cook and read and kick back and just enjoy that. But you're right; I'm more of a private person than people would know. Darryl Sterdan :So what does Dolly Parton go out as for Halloween? LE COFFRET 4CD EST SORTI !! Et WOW, une superbe live de 2000 tirée de l'émission TV de David LETTERMAN. Pour un album tout aussi superbe de 1999. NOVEMBRE 2009 : c'est le mois DOLLY PARTON ! 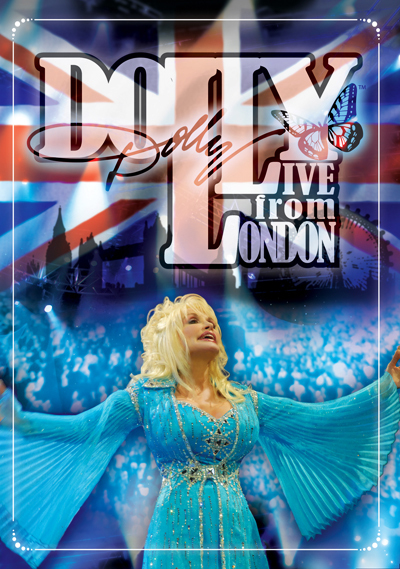 Le LIVE in LONDON CD/DVD qui sort dans 10 jours ( import uniquement je pense pour nous les frenchies ). Bref, foncez découvrir sans doute la plus grande chanteuse et songwriteuse de country depuis 50 ans avec ce Long Box. Impossible d'aimer la country et notamment les femmes de la country sans se plonger dans l'immense carrière de la LEGENDAIRE Parton. Je viens de le recevoir après avoir batailler sur Ebay ( et payer cher ). Ce Live est une merveille. Je m'attendais à une jeune chanteuse un peu brouillonne, trop jeune, mais j'ai eu tort, en 1970, Dolly Parton avait déjà TOUT ce qu'il fallait sur scène pour réussir et être un très grande. Voix, chansons evidemment, humour, culot et son côté "conteuse" de belles histoires sur les gens de la montagne. Il y'a aussi des duos avec Porter Wagoner que je connaissais via youtube mais qui sont superbes d'entendre dans une nouvelle version. Les bonus par rapport à l'édition vinyle sont indispensables ! DOLLY PARTON on CNN pour présenter son nouveau DVD ! hey Laurent entre nous t'as pas peur en voyant la Tronche de Miss Dolly? ...c'est peutêtre pour cela que ses pochettes sont des dessins dernièrement! pour ma part j'adore son écriture (grands albums en 2000); sa voix par contre m'est insupportable! Elle rejoint dans nos coeur de Gaulois: Yvette Honer ou bien Régine! slide a écrit: hey Laurent entre nous t'as pas peur en voyant la Tronche de Miss Dolly? Attends, elle a 64 ans en janvier ! A quoi ressemblent les femmes de 64 ans ? Puis c'est sans doute la plus grande chanteuse de country de tous les temps : 67 albums depuis 1967 dont 4 lives sur 5 decennies. Bon ok, y'a Loretta Lynn mais elle n'a sorti qu'un disque dans les années 2000, très bon d'ailleurs. 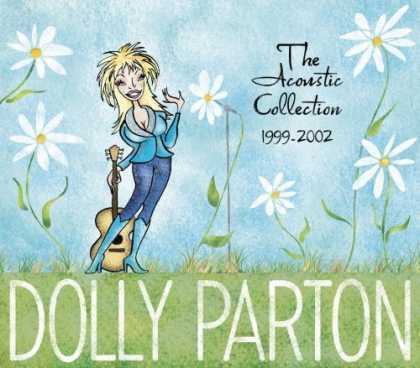 Dolly Parton a sorti 7 disques dans les années 2000 + Long Box + 3-4 coffrets + dizaines de compils. Ne pas aimer Dolly Parton, c'est incompatible avec le fait d'être fan de country. Qui rempli l'ARENA 02 en Europe chez les chanteurs de Country, salle réservée aux mega-stars ? Personne, y'a qu'elle. Peut-être Taylor Swift, la seule vraie descendante finalement à Dolly en terme de chanteuse de country qui s'exporte.